A frank and forthright assessment of the past, present and possible future of the Sri Aurobindo Ashram by a long-time inmate. 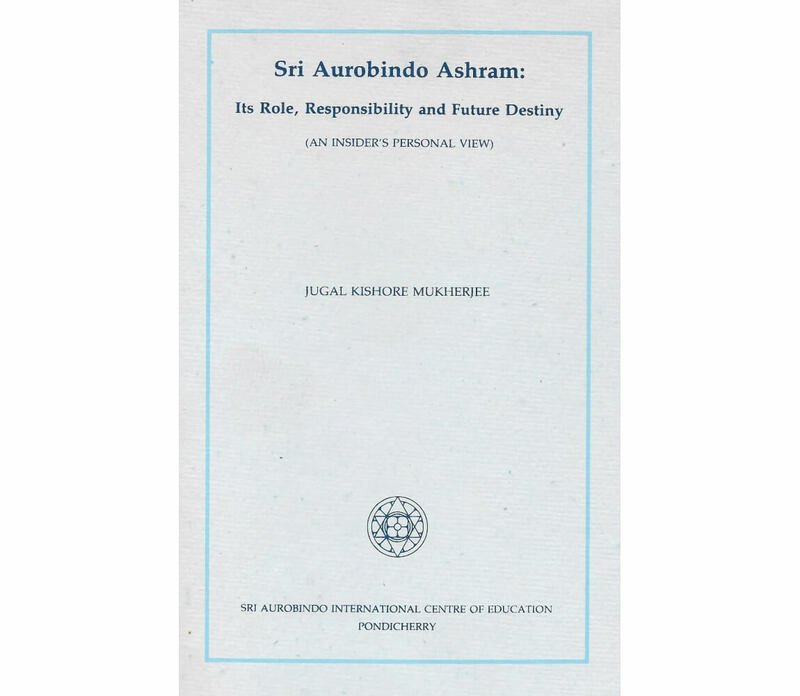 From the publisher’s note, “Those who would like to follow closely how this onerous task (of perfection being attempted at the Sri Aurobindo Ashram) is being realized in actual practice both in the life of the individuals and in the life of the community in spite of all the vicissitudes involved in the process may read with interest this book by Mukherjee which makes a frank and forthright assessment of the past, present and possible future of the Sri Aurobindo Ashram. 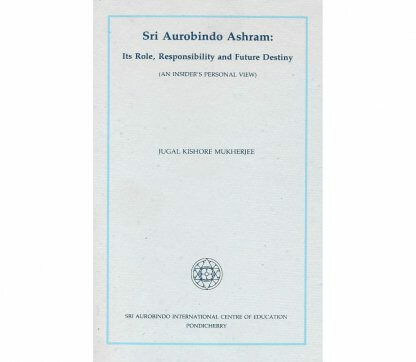 Has Sri Aurobindo Ashram A Future? Thirty years ago I found myself in an unusually despondent mood one day. 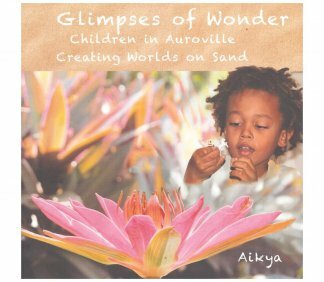 I come from a family that adores the portraits and books of Sri Aurobindo and the Mother. A few years earlier I had received the doctoral degree for my thesis on Sri Aurobindo’s “Savitri”. Indeed, that was the first thesis on Sri Aurobindo’s epic. The Mother had gifted me the rare privilege of meeting her privately for a few minutes to offer pranam in 1961 and the Ashram had published my thesis. All this had sprung in me hopes of a close interaction with the Pondicherry Ashram but due to family circumstances I found myself far, far away from Pondicherry and years went by and I could not visit the Ashram. One day I gave vent to my frustration and disappointment to my father (Dr. K.R. Srinivasa Iyengar). He gazed at me for a while and then said: “Ashram is where you are”. Then he explained to me that it was not right to think that physical distance alone measured the love and guardianship of the Master and the Mother. That wherever a person leads a life of aspiration, tries to achieve perfection in what one does (he gave the example of washing dishes for I had blurted out that there was no need to write a thesis and get a doctorate for humdrum domesticity and I had mentioned the chore of washing dishes day in and day out), studies the words of the Mother and Sri Aurobindo, immediately that place also becomes an Ashram. From that day the truth of what he said has been the guardian-amulet for me and I never have had the feeling of being away from the Mother”s ambience. At the same time, I have had the privilege of receiving an uninterrupted flow of affection and wisdom from many Ashramites residing in Pondicherry. Nolini Kanta Gupta, A.B. Purani, M.P. Pandit, Navajata, Kishor Gandhi, Jayantilal and Parubai Patil readily come to my mind, and though they have withdrawn from the physical scene, they are guiding lamps for my journey in the realms of the Spirit. Living thus outside the Sri Aurobindo Ashram but carrying the Ashram consciousness within has had its share of problems. There have been needling questions from colleagues, relatives and strangers on the structure and functioning of the Ashram. Occasionally apaswaras have been heard too, thanks to the sensation-mongering media. Also, the halfway messages from one or two inmates who have been critical. For instance, a scholar whose sincerity is palpable and who has been brought up in the Ashram under the direct supervision of the Mother, feels that the Ashram has remained a closed book and has rejected even healthy inspirations from the world outside. There is also a feeling that many tend to think of the Ashram as a haven for retirement and no more. Besides, there is no parampara leader to look to for day-to-day guidance. There have been more serious charges too. At the same time, so far, none of these criticisms has had any deleterious effect on the devotees outside the Ashram. They usually shrug it off as the shortcomings of the human element. Which ashram has not had its share of such attacks, they contend. Which is very true for even several hundred years ago, Mahendravarman Pallava had to write the Matta Vilasa Prahasana to warn the managers of the Buddhist Viharas in Kanchipuram. Spiritual life is ever a divine battle. Those who opt for it have to battle against enemies of the spiritual way of life from outside as well as the enemies of promise within the spiritual fold. It is at this juncture that the 125th birthday of Sri Aurobindo gave a chance to analyse the problems that beleaguer the Ashram. Jugal Kishore Mukherjee”s Visada Yoga (Yoga of sorrow) literally gave birth to an intense heart-searching, and the result is a testament of faith in the future destiny of mankind as one of abiding Ananda consciousness. Jugalda understands the problems of those who deviate from the goal. There are reasons. The close concentration of a large number of people within a small space, the absence of a code of conduct spelt out in militarist terminology, a lack of stress on personal relationships are but some of them. Relationships have to work on the wavelength of the Divine and this is hard to achieve for human beings. To “trust the true warmth of the pure flame of psychic love but beware of the flawed fuel of ego-desire” (K.R. Srinivasa Iyengar) calls for very deep sincerity indeed. Not as the Big Brother watching, though. This is a mother”s watching over her children and she will exult when there is growth and intervene when help is needed. The children should make the best use of such maternal guardianship and not fritter away the chance in inanities and immediate satisfactions. In the Ashram there are no subordinates. Everyone is a helper. The heads of sections are there only for administrative convenience. Jugalda does not gloss over the negative details like the desire on the part of some Ashramites to move out of the Ashram often or the urge to acquire personal wealth. Though Sri Aurobindo and the Mother had no use for the Ascetic”s refusal, they did not favour superfluities in one’s life. There is then the question of man-woman relationships. Fortunately, Sri Aurobindo and the Mother have dealt with all such wrong movements and have given firm directions. An Ashram life is meant for a growth in consciousness. Sri Aurobindo’s vision of a Deva Sangha saw a collectivity of aspirants pursuing the Integral Yoga for a rise in consciousness. The aim was never lost sight of even when the Ashram extended its parameters of action. The original afflatus that began the Ashram is still a guardian power, for Jugalda marvels that in spite of all the problems the Ashram life flows on smoothly and quietly. 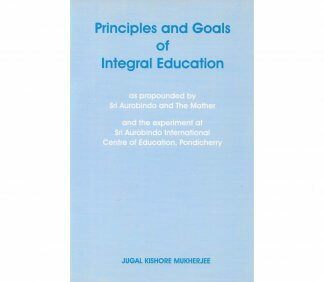 Presenting the principles of Integral Education as enunciated by Sri Aurobindo and the Mother.